$194.99 & FREE Shipping on orders over $59. 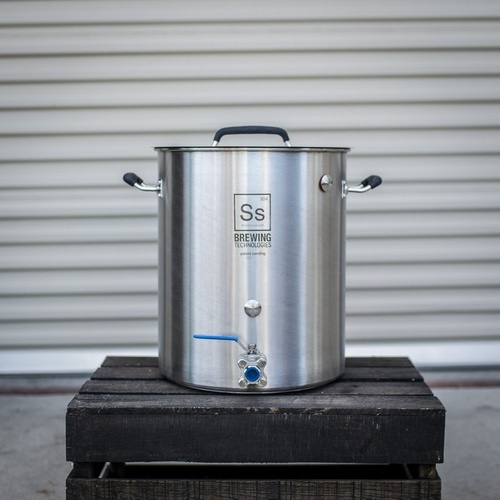 This 10 gallon brew kettle is packed full of features! 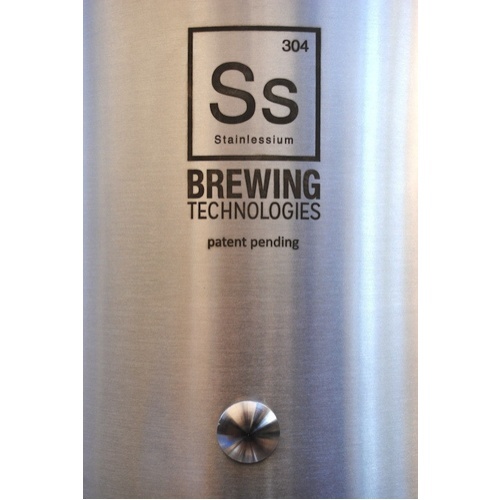 Ss BrewTech has done it again, taking brewing equipment to an innovative next level. These are a premium lineup of feature rich all Stainless Steel Brew Kettles, designed to keep you brewing for a lifetime. What really sets this boil kettle apart from the rest is the first ever integrated trub dam and pick-up tube assembly that Ss has designed into the back of the 304 Ss 1/2" ball valve (3pc). It is a brilliant little piece which will help with a more efficient whirlpool, leaving more trub in the kettle, and bringing more wort to the fermenter! 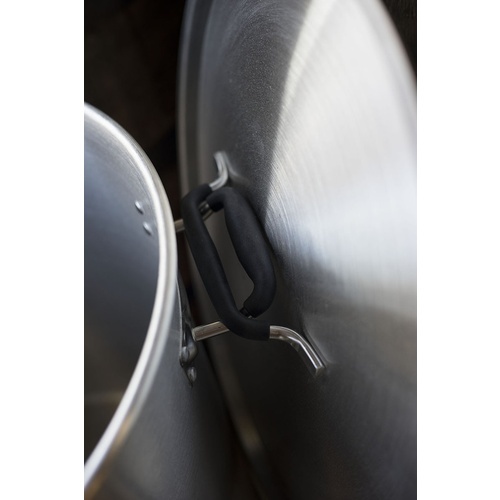 Other features include robust triclad bottom, internal gallon markings, and strong riveted handles with molded silicone grips that can hang the lid. I need to replace and older kettle which is too small and has a broken tap. 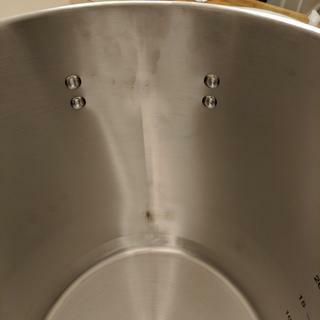 I have BrewTEch fermenters and love them so decided to try their kettle. Very disappointed. 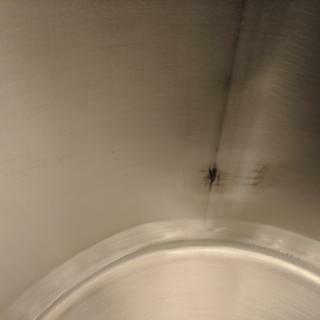 I didn't have a chance to clean a passivate the kettle until today. It is manufacturer damaged, despite the inspection sticker. 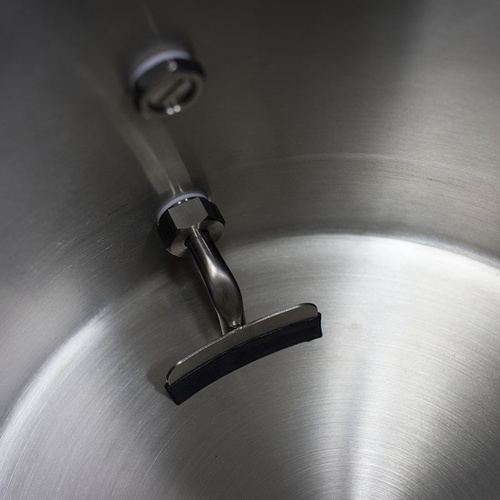 The kettle has a dent running the height of the interior and the steel is burned and discolored by the polisher at the factory. I will follow up with MoreBeer to see if they can make this right. Very well designed and built kettle. 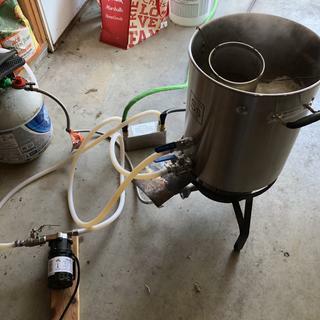 Did my first brew in this kettle, with the whirlpool accessory, and it was great! The continuous 20 minute whirlpool worked without a hitch and that little trub dam actually worked really well. Once the trub settles to the bottom a little bit immediately behind the damn gets pulled but from then on it was clear wort. I’d definitely recommend this. Kettle, Chugger pump and plate chiller. Very impressed with build quality and fit and finish. The kid fits so well it almost snaps into place. Breed first batch with and very happy. Lots of room and the trub dam works. 2. The trub dam thing? In the category of better than nothing (I suppose) and it was included in the price so why not. I have been trying the whirlpool thing: stirring like mad, then letting things settle to a dead stop for 15 minutes but still no cone of trub. The trub in the wort is light, fluffy stuff with zero shear strength, so it just flows as the wort is drawn out of the kettle. I have no other bells or whistles on the kettle to complain about. I do like all grain brewing, which made the whole effort worthwhile, in my opinion. Great kettle but I would like them to make these with welded fittings. I just completed my first all grain batch (Brew in a Bag method). The kettle worked fine. No leaking around the fittings. I'm not sure about the volume markings - for the water supply, I used gallon jugs of water from the store. Seven of the one gallon jugs came to about 7.5 gallons on the volume markings. I don't know which to believe, not that it matters too much. I watched the videos of whirlpool settling for trub but didn't find that I could develop any amount of trub organization in my kettle. As a result, I can't say that the trub dam was a huge help. I guess it's better than nothing. I just received the kettle, and haven't had a chance to brew with it yet. It seems very well made and looks to be an excellent value. That said, I wanted to let any potential buyers know of an issue that's not covered in the item description, as of this date. The kettle comes predrilled with 3 holes - 1 for the included (and very nice) valve, 1 for the weldless thermometer (not included), and 1 near the top of the kettle for the optional recirculator fitting (not included). That's all well and good, but the hole drilled for the thermometer is a 7/8" hole (like the other 2 holes). Most brew kettle-mounted thermometers only require a 1/2" hole, so the Blichmann Brewmometer I ordered would not fit the hole. 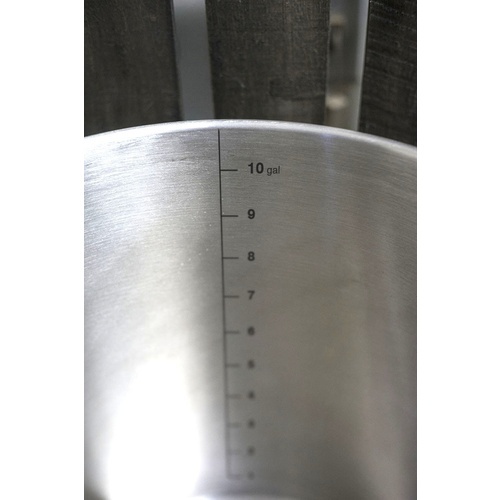 I called customer service, and a very helpful young woman informed me that Ss Brew Tech also markets a fitting to adapt the 7/8" hole to the 1/2" thermometer. Fantastic! I now have one on order. It would've been SERIOUSLY handy to know this beforehand, so I could've ordered all parts together. I'm thinking a slight addition to the product description might be in order. It's called "upselling". All in all though, a very nice kettle that should last for the rest of my brewing career. Cheers! I own the 5.5, 10, and 15 gallon kettles. I'm very happy with them. I have not had any ball valves leak. I clean the valves between every brew. The true dam is ok. It helps some. Better to whirlpool and let it sit for at least 30 mins before draining to fermenter. I would definitely purchase again. I have used this kettle for 5 brews now. It was easy to assemble and easy to clean. The dip tube works great and does help block some trub. The only issue I have had is the ball valve. It leaks a few drops though the valve itself and out the spigot during the warm up. 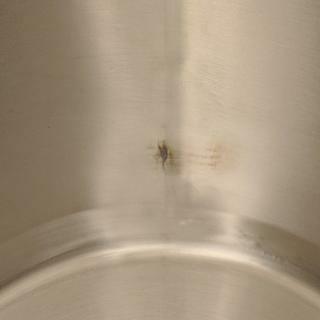 The issue starts around 160 and stops once the wort is past 180. Not sure if it is a temperature issue with the seat or what. Overall a good kettle for the price point. The leaking issue is only a minor annoyance.